Professional misconduct is said to be the reason of termination. 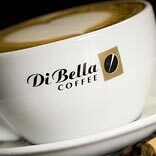 As per the latest media report Espresso Enterprises, parent of the Queensland-headquartered Di Bella Coffee, has terminated the intellectual property and product sale license agreement with Di Bella India, the 70:30 joint venture (JV) between Sachin Sabharwal and Di Bella Coffee founder Phillip Di Bella. Phillip Di Bella, Director, Espresso informed that Sabharwal had violated the licence agreement by selling his stakeholding to third-party members without notifying him or the parent company. Sabharwal had failed to provide monthly reports on the operations of the JV, which has been active in India for a year now, and had damaged the Di Bella brand name with his personal and professional misconduct. We repeatedly received complaints from suppliers that he hadn't cleared their bills. He also attempted to register completely unrelated Australian brands in India in complete violation of the license agreement the JV company had with Espresso. Di Bella has 14 outlets in Mumbai and two in Hyderabad. The coffee chain in the past had said it proposed to expand operations to cities such as Delhi and Bangalore in a bid to scale up fast.